Every session with Lovely Baby Photography will be created and customized to tell your story. We pride ourselves on our personalized experience from start to finish. We offer a beautiful line of heirloom products so that our clients can preserve their memories for generations to come. We have done exhaustive research to find the best products available to offer to our clients. We understand the importance of digital negatives as well, but we promise that in 10, 20 and 30 years, you'll keep going back to the printed pieces on your wall or your coffee table. We have Collections available that will satisfy your need for heirloom printed product as well as digital negatives. 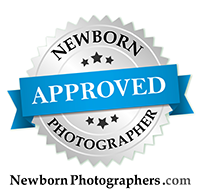 Lovely Baby Photography is a full service portrait studio, with emphasis on your experience as a client. Products are available a la carte, or in Collections. We specialize in beautiful wall art and heirloom albums. Please contact us at stacey@lovelybabyphotography.com, or give us a call so that we can get to know you! Maternity, Cake Smash and Family sessions are available as well! Session fee only - products, prints or digital files are separate from session fee. Includes: Use of Studio Wardrobe, 45 minute session. Session fee only - products, prints or digital files are separate from session fee. Includes: Use of Studio Wardrobe, One Hour session can include dad and any siblings. These are shot in specific North County locations - 3 to choose from. Travel fee will apply outside of our 3 set locations. Session fee only - products, prints or digital files are separate from session fee. A smash cake, and use of our studio wardrobe is included in your Luxe Cake Smash session. Includes: Baby, siblings and mom and dad. 45-60 minutes outdoors. Session fee only - products, prints or digital files are separate from session fee. Includes: .Parents and children at a local Carlsbad outdoor location. Field or Beach Sessions are available. 45-60 minutes outdoors. Session fee only - products, prints or digital files are separate from session fee.. Travel fees may be added for locations outside of Carlsbad, North County.